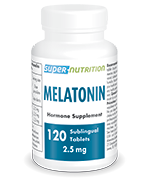 Melatonin is a natural hormone produced by the body during the hours of darkness, which is why it is known as the ‘sleep hormone’. It plays a central role in regulating our biorhythms, primarily by promoting drowsiness. 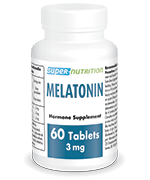 Unfortunately, melatonin production tends to fall in the absence of sunlight and with advancing age. 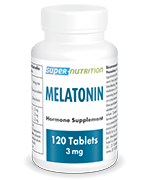 Dietary supplements have been developed to compensate for this lack of natural melatonin. By helping to reduce the time it takes to fall asleep, melatonin supplementation can help treat sleep problems including insomnia. It has also been shown to reduce the effects of jet-lag. Benefit from the many positive effects of this natural sleep hormone with our range of melatonin-based dietary supplements.